Ready to buy but not ready to move? Now is the chance to acquire your perfect downtown condo at a great price! This fabulous Madison @ St. Pete" condo is currently rented, offering instant cash flow. With Double Master Suites, this unit boasts walk-in closets, separate laundry room and and open floor plan. The Madison is in the Heart of Downtown Saint Petersburg. Across the street from the Duke Energy-Mahaffey Center for the Performing Arts and Al Lang Stadium where the Rowdies play soccer and top acts are in concert. Next door to the Hilton Hotel and around the corner from the Dali Museum. 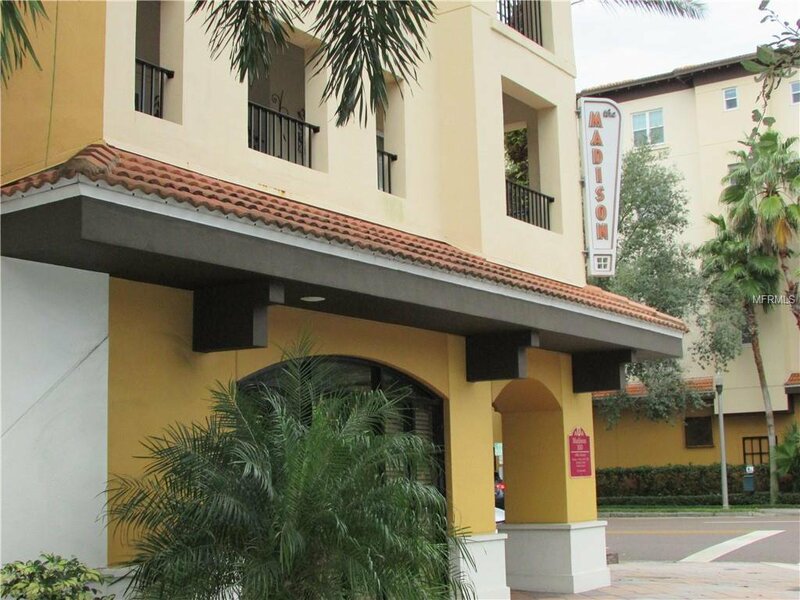 Walk to Publix grocery and to Beach Drive where you'll dine at First Class restaurants. Super close to Demens Landing Marina and the St. Pete Yacht Club. A private courtyard blocks out the city hub-bub and offers residents private cabanas when using the pool and spa. Community Club Room awaits your celebration. Included is a designated parking space in the secure under building garage. Listing courtesy of COAST TO COAST REAL ESTATE,INC. Selling Office: LUXURY & BEACH REALTY INC.